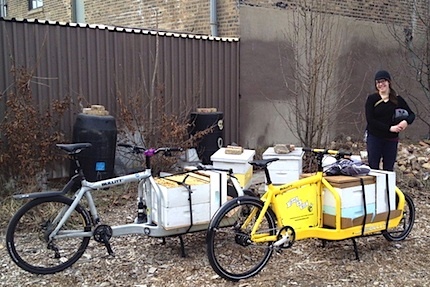 We can’t think of a better way to spread the word about beekeeping than Bike-a-Bee! Want to learn how to bee-keep? Check out our friends at HoneyLove.org.